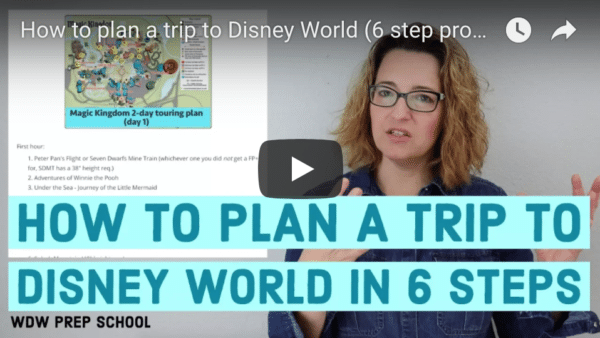 Parents spend a lot of time planning their family's Disney World trips and hopefully eventually arrive at a plan for their vacation. If your kids are like mine, they want to know what to expect during their trip. I've designed two templates to help you do that in a fun way. Here's how you use them. GIMP is free software that does almost everything that Photoshop does but without the $700 price tag. You can download it from GIMP.org. Like Photoshop, GIMP works in layers so every element of the image can be edited or deleted plus you can add new layers to customize the graphic for your trip. I also created a Microsoft Word itinerary that should be easy to use. When pasting your own image into this file, right-click it, choose Format Picture, go to the Layout tab and pick "In front of text" as your option. This will allow you to move images around as needed. There are many shapes used and each can be changed to a new shape, filled with a new color and have the border customized. If you print this file and want the background color to show up, you'll need to go into the printer options and check the box that says "print background colors and images." Fonts used in this file: Gill Sans Ultra Bold, Gill Sans MT, Walt Disney Script v4.1, Calibri and Tw Cen MT Condensed Extra Bold. Questions or comments on how the templates works? Talk about it in the comments. Does anyone know how to make your own pictures round? That may be a dumb question, but I cropped them down small enough, and I can’t figure out how to change the shape! Thanks! The word template was awesome, thank you so much! The kids will be very excited! Could you possibly send it to my email!!! I love this template idea and think this would be a great thing to show my daughter before going to Disney for the first time! My computer isn’t letting me download the first one, and the second one wont let me change anything! Hello! I installed gimp… its up and running but when I click on the download link above it takes me to a page of coding…… in another window…. Any help would be appreciated! The word version downloaded just fine. Thank-you soooo much for sharing! I made this for my husband surprise birthday and I received so many compliments. This template was on point! Very easy to copy and paste pictures and you did very well with instructions. Thanks again! Thank you for sharing your wonderful templates. However I am having trouble opening either one of them. I have tried to right click and save to my computer but it will still not open the GIMP file. Also when I save the word document it will not allow me to edit. Thanks again for your helpful tips! Hi Shannon, it there anyway you could send me a blank doc of the first template so I can just start from scratch and create my own document. I have tried to pull the doc up in word and in google docs but nothing has worked. This is wonerful- thanks for sharing!!! Do you know how we can add our own pictures for the cast of characters section? Everything else I have figured out and I LOVE it!!! I love the MS Word template because it is so easy to use. I have added my own twist by having a page for each day, so that I can include every detail from rides, parades, to where we will have meals. Thank you so much! We will need 8 days, and i am trying to add the last day and having trouble with moving into the next page. Any tips?? Could we have the background image you used? Do you have the adorable template above in Photoshop? I am a long time Photoshop user and am just feeling baffled by the unfamiliarity of GIMP. I tried to export but I am only getting a third of it in the new .psd file. Thanks for your great planning resources. thank you for the fantastic template!!!! Any chance you have the file in psd so I can use it in photoshop? I tried downloading the font and it did something very strange to our computer, Including finding at least 14 malicious files, so far. We are still in the process of deleting everything. Please help if you have any idea what this is. Technical issues were causing a problem with the download files but should be resolved now. I really love the gimp template you created, but I am unable to download the file. Another page opens with a very strange script. Should I be able to download the file on a mac? I do have the Gimp program on my Mac. Thanks! Right-click the file to save it on your computer and then open it from your computer. Hopefully that works. THANK YOU! THANK YOU! THANK YOU! I wanted to do a fun itinerary for our trip this fall with our 3 year old! Our family has been there multiple times (with our older children) and even though this isn’t our 3 year olds first time there it’s really like it is since she was always too young to understand. I used your Word Document file and it was super easy to modify and change everything! Thanks for the little hints on adding your own images too! I can’t wait to share it with all the kids (15, 12, 11, 9, 3)- they are going to LOVE seeing their images as “Characters”! I’m actually thinking of trying your GIMP file too and making a separate itinerary for the older kids since the Word one was so user friendly! I just noticed your ADR for CRT says 7:40 is that am and is that really what it was or what that what time you planned to be at the park? I thought early reservations were only an hour before park open? What time do they start ADRs? Wow, these are great! I downloaded the gimp app and the template. I can’t seem to figure out how to change the information. i.e. I type over the “saturday” to make it “tuesday” and it allows me to type but it doesn’t save it , it always resorts back to Saturday, same with all dialogue boxes. Help. I really want to use this. I have the same issue. I dont know how to edit it. All I can say is THANK YOU, THANK YOU, THANK YOU! This is so extremely helpful! We are planning a sisters trip (myself and my teen sister) for January and I will be using these tools. Thanks, Shannon! It’s great to see a fellow Disney Fan take the time to plan out trips in such detail. (My friends, who don’t love Disney as much as I do, really don’t understand the passion involved in planning out the days or making reservations in advance.) So, I truly appreciate your passion and your willingness to share your templates!! Hope you have a Magical Day!! Hopefuly 1 of those options at that page will resolve your issue. Hi! I love these templates! I’m trying to do the one in gimp, but it won’t let me edit it. I can pull it up just fine, I just can’t change anything on it. Any suggestions? Thanks! I’ve got my itinerary all filled in for our trip except the pictures of our crew. How do I do that?? I’m having issues opening the GIMP file. I just get a bunch of text that opens in a new tab. Could you e-mail me the file directly? Or have any other suggestions on how I could open it? Right-click the file to save it on your computer and then open it from wherever you saved it. Thank you for sharing this template. It definitevely make things easy when I have plan like this. Thank you so much. I can’t wait to be in Disney this month. I just want to tell you how much I LOVE this website. My husband and I have planned a vacation to Disney this summer in July (21st-27th) (I know, I know, but it’s the only week we can do it!!) This will be my second time even though I was 5 when I went and my husband’s first! We are also surprising our 5 year old son on his birthday with the trip! I have been googling my brains out because I am by far the biggest planner and with our short decision to make this the big year for our son it has been hard for me to make sure I have all of the right tools!! These templates are amazing and JUST what I need! My husband is in the military and we will be staying at Shades of Green resort, quick question are they affiliated with Disney as far as can you purchase items and have then sent back and such? When you mention **staying at one of the resorts, is ours included in that? Also are there any tips for military members on how to save a couple bucks other than the resort and ticket prices? Thanks so much!!! Thanks, Cori! Glad you like the site. Word)? Thanks! Awesome site,by the way! Can you try saving the files first and then opening them on your laptop? Right-click, save then find it and open. formatting and how to print. You’re welcome! Glad you like them. Really wish I had seen this post prior to our trip–I love both of these itineraries and would likely have used the Word formatted one, so organized. I did one, but it wasn’t as colorful as yours. Great work–thanks for sharing.